Charlie Wood and SMOKIN SECTION BAND are going strong playing live shows across the ArkLaMiss (Arkansas, Louisiana, Mississippi) and Texas. They bring covers and original songs that won’t let you stay in your seat! BLUES/ FUNK /ROCK/ SOUL come alive with lots of energy at the Casinos, Large Clubs, Festivals, Private Gigs, and a few local restaurants. Always a party and show with this band! With party rockers to Ballads - they know how to deliver a song and entertain, and they always make you feel like a part of the show! Junk in the Trunk, written by Chris Nole and Charlie Wood way back in 2011 was originally recorded on the 2016 album, Charlie Wood and Friends. 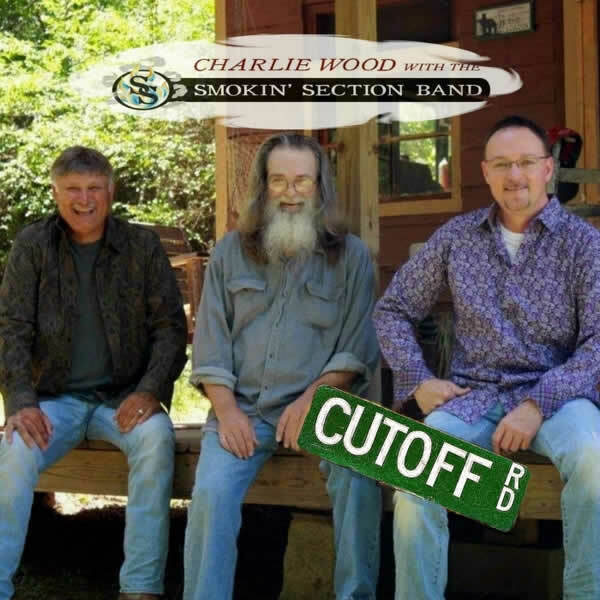 Charlie and the Smokin’ Section Band has played Junk in the Trunk at live shows, and the song caught on, so Charlie and Chris got together and added a little more mojo to the second version of the song. Chris Nole, an artist in his on right, session player, writer, and one heck of a producer brought it all together! The Junk in Trunk bonus track is now available on all your online music stores, separate from the Charlie Wood and Friends album. Junk in the Trunk was release to radio the first week of May 2018, just in time for Summer on AM and FM radio, internet radio in the US and Europe, etc. Promotions are handled by Howler Promotions out of Muscle Shoals. Strange Brew was released Wednesday, January 4, 2017 to radio Blues Southern Rock FM/AM internet. In addition, Strange Brew has been picked up on a compilation CD with Foghat, Boxmaster (Billy Bob Thornton's Band), Paul Thorn and many more artists. The compilation is for Kudzoo magazine for support of Southern Rock Hall of Fame and Southern Rock Café location coming soon. 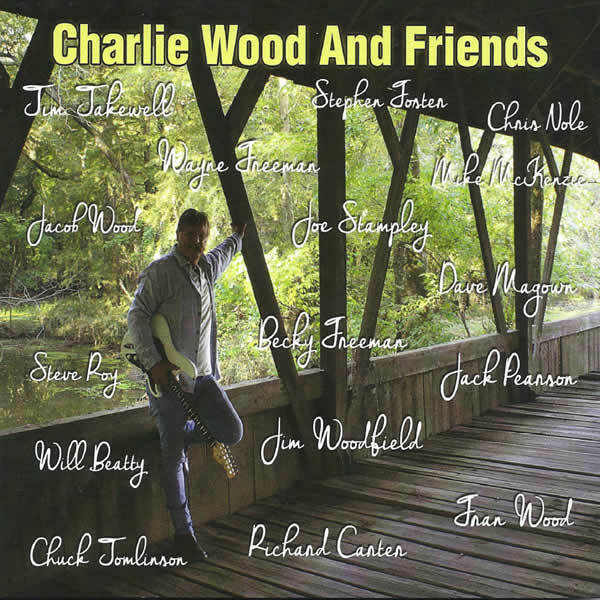 Charlie Wood and friends have recorded an album chock full ofblues and r&b that is funkier than my socks after a visit to the gym. Charlie brings along an "A" list of musicians to help him realize his vision, including Wayne Freeman, Becky Freeman, Chris Nole, Stephen Foster, Chuck Tomlinson, Richard Carter, Will Beatty, Tim Takewell, Jacob Wood, Jim Woodfield, Steve Roy, Mike McKenzie and Dave McGown. The album opens with the high energy of "Do What's Right," featuring some red hot slide guitar from Wood that sets the mood for the remainder of the album. Next up is "Blindside," a tune that has that whole Delbert McClinton feel and "Somebody Rescue Me," featuring Wayne Freeman on vocals, is some serious rockin' soul that finds Dave McGown blowins some mighty fine harp. One of my personal favorite cuts on the album is "Good Thing," a super soulful slow jam that sends me reeling back to Muscle Shoals, by way of Stax in Memphis. This song has more soul than a pair of clown shoes. The same goes for the Otis-esque "Tell Me What to Do," a soulful ballad if ever there was one. "Strange Brew" may share a title with an old Cream song, but if any comparisons is to be made, think Stevie Ray Vaughan and Double Trouble. "Logtown" is musically off the charts, with some killer B-3 and guitar, and the band brings out the funk with "Junk in the Trunk," finding the rhythm section getting down and dirty, like God intended it to be. "Saturday Night Jam" hits you in the gut like a body shot from Mike Tyson, with more of that Texas style electric blues, and "Jezebel" rocks with more killer guitar and tight vocal harmonies. To be honest, the song title had me at hello. With that title, I knew it was gonna be low down dirty mean - and it is. "How Lucky Can One Man Be" is drenched in soul. This is dance floor music to polish your belt buckle by. Sweet soul music. Not bad at all for an old white boy on vocals. Wayne Freeman steps back up to the microphone for the funky, soulful rocker, "Ain't Got the Blues No More," yet another good 'un. The lyrics to "Another Day in the South" couldn't be more honest. This one reminded me of home, and that my friends is a good thing. "Between Heaven and an Old Blues Song" is one part Ray Charles, one part Delbert McClinton, and a dash of Otis Redding. These are blues you can use, sports fans. The real deal. Charlie has pipes that were born to sing the blues. Lord have mercy! Being from Up North (North Carolina, that is), I was not familiar with Louisiana's Charlie Wood. But when not one but two members of the Uniques - arguably the best rock 'n' roll band the Deep South ever produced – have already given him their enthusiastic endorsement, well, you listen up. This brings me to his new CD release, Charlie Wood and Friends. Charlie has got a sound tailored for Saturday night, with a voice bluesy 'n' soulful to match. He has an effortless knack for soul ballads, too. It makes for a well-rounded sound. As the title suggests, Wood is a generous artist. Despite his top notch songs and singing, Charlie Wood and Friends is as much a guitar showcase as a Charlie Wood showcase. While his vocals can be GPS'd to somewhere between Muscle Shoals and Clarksdale, the complimenting guitar work is fully imbued in the blues. Highlights include a growling guest shot from Uniques axe man Jim Woodfield (on a recut of his old band's "Tell Me What to Do") and whatever hot picker is makin' all that racket out of the gate on the self-explanatory "Saturday Night Jam". Beyond the tasty guitar licks, really all of the collected musicians should take a bow. Charlie and Friends have made a great sounding record. But in the end, there's no forgetting that this is a Charlie Wood record. Charlie has written or co-written ten of the 14 tracks here. They're all of a high caliber though probably none more so than "Strange Brew". This one really shows off his strengths; from a catchy, off the wall lyric, great blues shufflin' sound and one of his typically great vocals. While clearly he has an affinity for this type of material, when it comes right down to it his ultimate talent may be as soulful singer in the tradition of fellow southerners Dan Penn and Joe Stampley. Charlie also covers the old Stampley/Uniques song, "How Lucky Can One Man Be" and it is the best thing on the whole set. Why? Because Wood has reinvented a pop-soul sixties hit into a blues-based, deep soul classic for today. Of course, the highlight of the track is his vocal. Did I mention Joe Stampley is a fan? Charlie Woods and Friends has come full circle. The idea conceived by Charlie and lovely wife Fran traversed several states and rounded up several great musicians along the way to produce a CD that is just good listening. There have been many influences in Charlie's musical journey, beginning with his Mom's vinyl LPs where he was impressed by Joe Stampley's voice as he listened to The Uniques as a youngster. You can hear the rhythm of the Louisiana swamps where The Boogie Kings and Slim Harpo drove the sound all night long. You can hear classic R&B where Charlie's soulful notes give a great performance. The feel-good but powerful treatment Charlie gives his original tunes pulls all these effects together in a fantastic blend of his soulful style. When Charlie ask me to join in on this effort I was excited and much obliged to participate. Now, to hear the finished product, I must say this is a heck of a CD and all who are a part of it are proud to be included. I have a soft spot for my pick of the litter, "How Lucky Can One Man Be". I can remember being in the studio in Nashville almost 50 years ago under the direction of Ray Stevens and coming out with that great cut of Joe's heart felt song. Charlie has come up with a great arrangement for this one. Just as I was proud to hear that song when The Uniques cut it, I'm excited to hear this version, too.